Home > Articles > What is On The Green’s Custom Quote? What is On The Green’s Custom Quote? At the top of each page on this web site you will notice a red button labeled “Custom Quote.” What is it and how does it work? 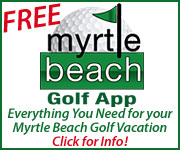 It’s a quick way to get a lot of Myrtle Beach golf vacation information fast! When you’re planning a Myrtle Beach golf vacation, the process usually involves a lot of phone calls and emails to gather the information you need to decide where to stay in Myrtle Beach and which Myrtle Beach golf courses to play. Each email and phone call requires you to give the same information to the person on the other end – your name, arrival date, departure date, number of people, rounds of golf, budget, etc. 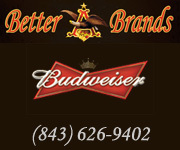 Our Custom Quote allows you to enter this information once and send it to all of the Myrtle Beach golf courses and golf package providers that you see on this site. It lands in the email accounts of the golf directors at the hotels and golf courses. Using the information that you provide, they respond to you with their best offers for your time period and budget. The more information you give them, the better they can tailor their offers to your needs. You fill out one form, you get many replies. 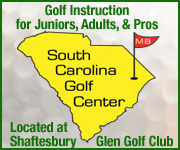 This gives you the chance to call a few of your favorites directly and still hear from 10 or 20 other Myrtle Beach golf vacation sources. Who knows? 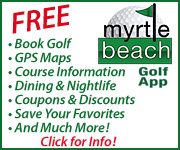 You might get an incredible deal from a Myrtle Beach golf course or Myrtle Beach hotel that you hadn’t ever considered. On The Green’s Custom Quote is a great way to get the golf vacation planning process started.